This week’s French Fridays with Dorie recipe was Roasted Rhubarb. It really doesn’t get easier than this. 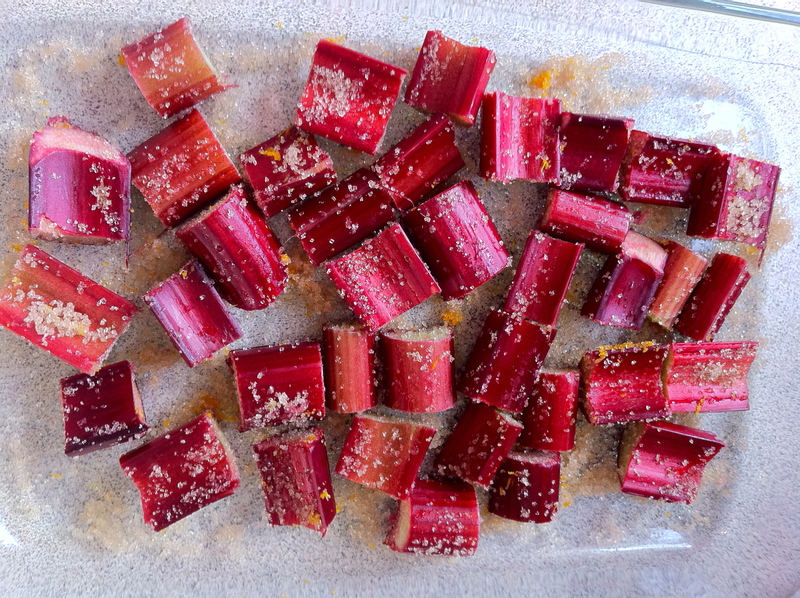 Chop up half a kilo of rhubarb and sprinkle half a cup of sugar and the rind of half an orange over it. Cover with foil and bake at 200 degrees celsius for 15 minutes. Uncover and bake for a further 5 mins until the syrup bubbles. Dorie suggests trying it as soon as possible and adding honey if too sour. 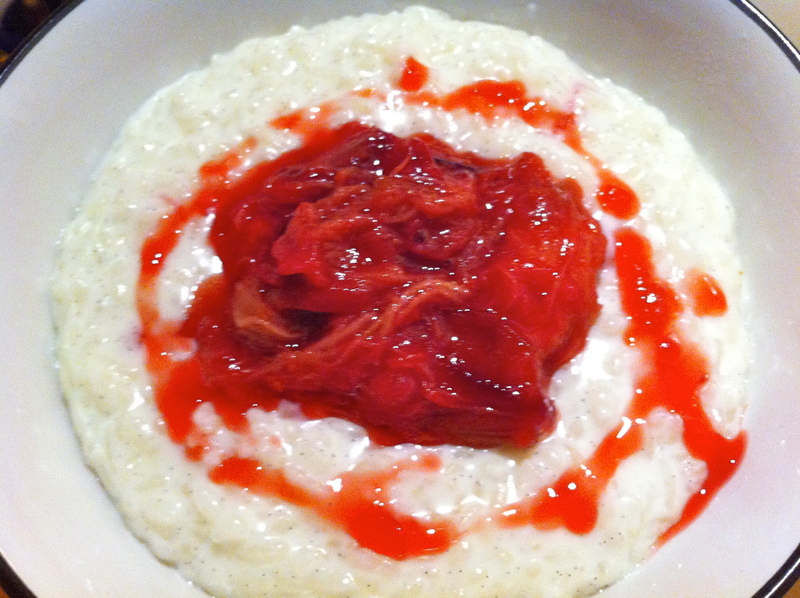 I figured the sweetness of the vanilla rice pudding would work well with the sourness of the rhubarb as it was. Put all the ingredients in a saucepan over high heat and bring to a boil. Reduce the heat, cover and cook for about 20-25 minutes, stirring occasionally until rice is tender. The Vanilla Rice Pudding was absolutely delicious. It went really well with the tartness of the roasted rhubarb. Best of all, I was able to share the evening with my parents. The last time my dad was over for dinner was September 2010. 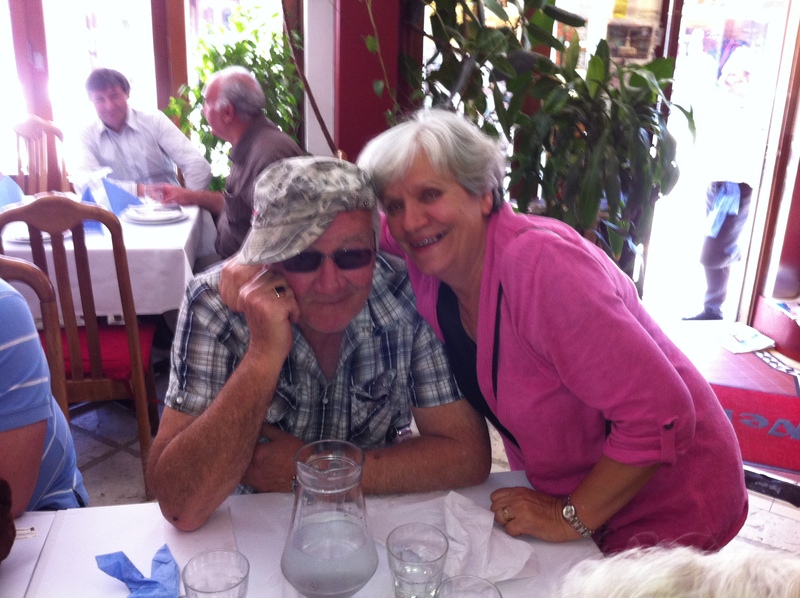 November 18th he had a stroke and a heart attack that he was not expected to survive. Over four months in hospital and lots and lots of rehab later, he is finally back home. It was great hearing his stories of how they make rice pudding in Serbia. He had fond memories of it topped with cream and meringue. Sounded great but figured it best to give it a skip unless I wanted him back in hospital with another stroke! That’s what I love about food. It brings us together and creates happy times and great memories. For more stories and roasted rhubarb recipes head over to French Fridays with Dorie. Tags: baking, cooking, family, food, french food, french fridays with dorie, life, my life, recipes, rice | Permalink. I think I missed out by not thinking to try this with rice pudding. How nice that you were able to share this with your parents! Glad you are able to share your father’s recovery. Oh, I love rice pudding! This sounds and looks delicious, and good food is definitely best shared with friends and family. Best wishes to your dad. Really nice vibrant color. How is rice pudding made in Serbia? I have no idea! I’ll have to ask him! I got carried away with the topping. This sounds awesome, I would use it as a vanilla ice cream topper 😛 YUM! and I must try that recipe for the pudding. Thanks for posting it. Oh, that’s wonderful news about your Dad. So glad you got to share the time with your parents. Your rhubarb is such a vibrant color and I bet made the rice pudding super delicious! I’m glad to hear your father’s out of the hospital! Your rhubarb and pudding look amazingly delicious! Hi Sanya, I’ve missed you. 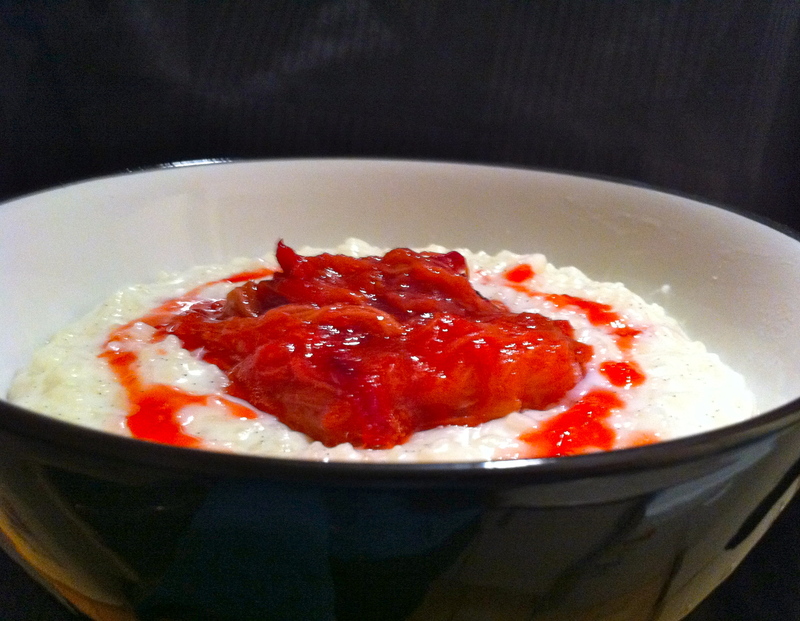 Serving the rhubarb over rice pudding is brilliant! I loved the photo of your parents. I’m glad that your dad is doing better, and that you could share the evening with them. Parents are precious, especially once we’re grown. I’m not sure kids appreciate their parents when they are still kids. You’re so right – food brings us together in good and bad times and provides comfort. Very happy to hear that you dad is doing better. And I can’t wait to try the rhubarb with rice pudding! What a wonderful Father’s Day celebration you must be having today. I love that you served the rhubarb over sweet rice. Rice with sugar and milk is something my dad and I used to eat together when I was growing up. Great post. Great news that your father is recovering and home, and well enough to enjoy your cooking! Your rice pudding looks delicious, so glad you shared the recipe. Rice pudding would be an excellent accompaniment for the rhubarb. Glad to hear you were able to share this with your parents and that your father is recovering well. I love the rhubarb against the fuschia background! Great photo of a great dish.